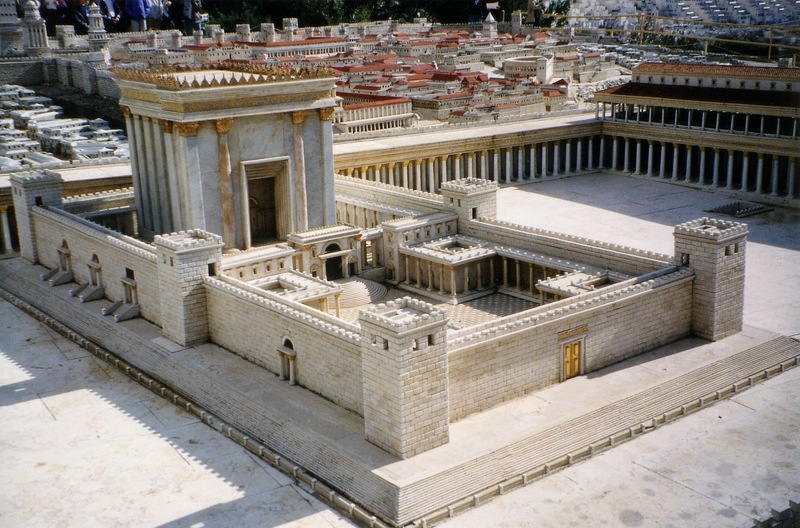 "The Lid": Palestinians Warn The Media Do Not Use Term "Temple Mount!" Palestinians Warn The Media Do Not Use Term "Temple Mount!" Palestinians and Muslims have been attempting for years to erase Jewish connection to the Temple Mount and to Jerusalem. 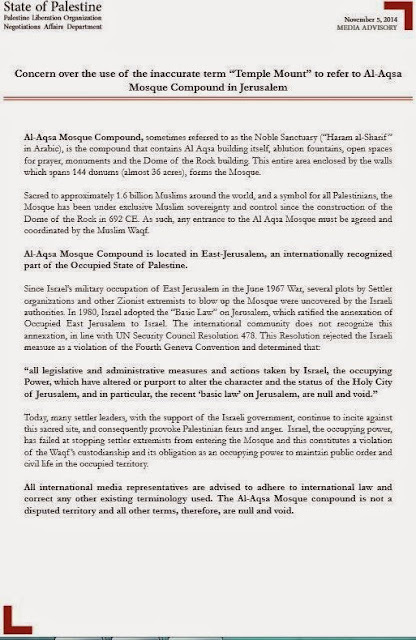 Their latest attempt comes from the PLO National Affairs Department directing all international media to desist from using the term "Temple Mount" and replace it instead with the term "Al Aqsa Compound." Al-Aqsa Mosque Compound, sometimes referred to as the Noble Sanctuary (“Haram al-Sharif” in Arabic), is the compound that contains Al Aqsa building itself, ablution fountains, open spaces for prayer, monuments and the Dome of the Rock building. This entire area enclosed by the walls which spans 144 dunums [sic] (almost 36 acres), forms the Mosque. Reconstructing history, it adds, the area "has been under exclusive Muslim control since the construction of the Dome of the Rock in 692 CE," stating further that it is "sacred to approximately 1.6 billion Muslims around the world, and a symbol for all Palestinians." Of course, it ignores the fact that it is also the holiest site in Judaism. All international media representatives are advised to adhere to international law and correct any other existing terminology used. 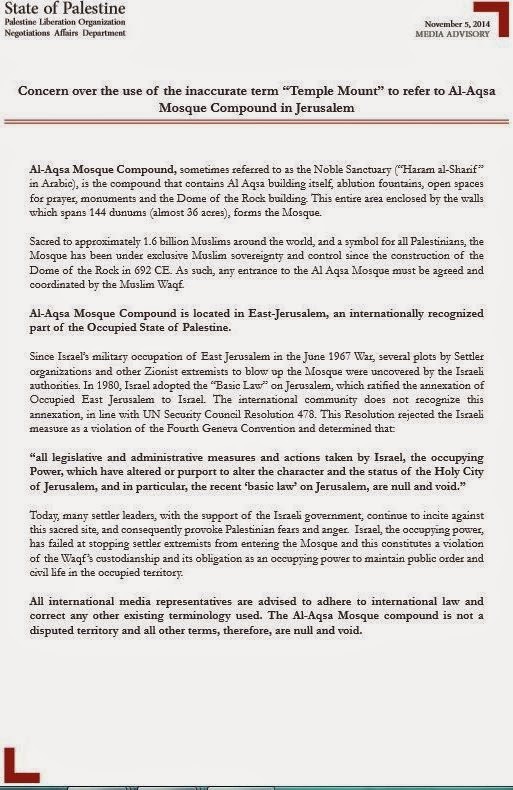 The Al-Aqsa Mosque compound is not a disputed territory and all other terms, therefore, are null and void. On election day I heard them say, "where da black people at?" They stayed home, figure that one out. Everybody's immune. Blacks are immune, because if you stop one it's for "driving while black." Obama's immune because all criticism of him is racist. Any criticism of a female is sexist. Only white males have not been granted this badge of immunity by the PC Police.